Often are times when you are traveling, and your phone battery dies down before you manage to reach your destination. What if this was an entirely new place to which you were traveling? Without a means to communicate with your contact, you will be left in distress. Asking for a mobile phone from a passerby can prove futile if you have not mastered the number details of the person you are to contact. In this regard, the Kingsons outdoor backpack is of unique help. Its exclusive features provide you with the means to charge your mobile phone while outside the proximity of an electrical charging point. 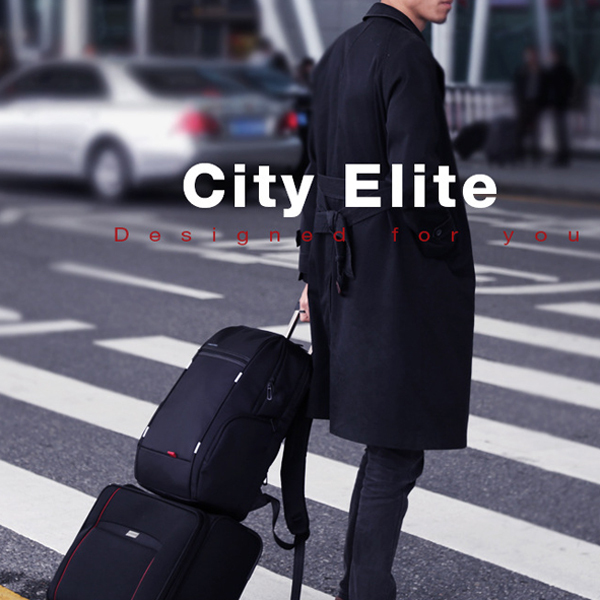 Apart from this convenience, the bag is of high quality that offers high durability and resistance to wear and tear. 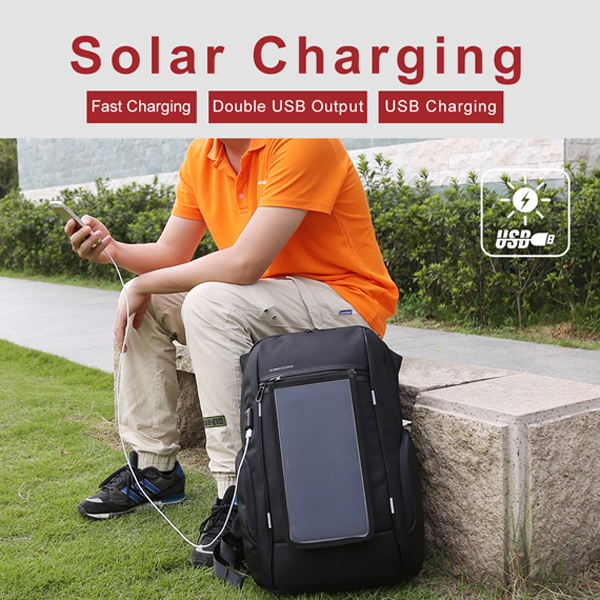 The Kingsons outdoor backpack is a solar charging enabled bag that has offered various unique capabilities. Apart from allowing for a double USB output, this solar device charges your mobile device fast. It has been documented with a charging efficiency of up to 92 percent with a solar energy conversion efficiency of 21 percent. 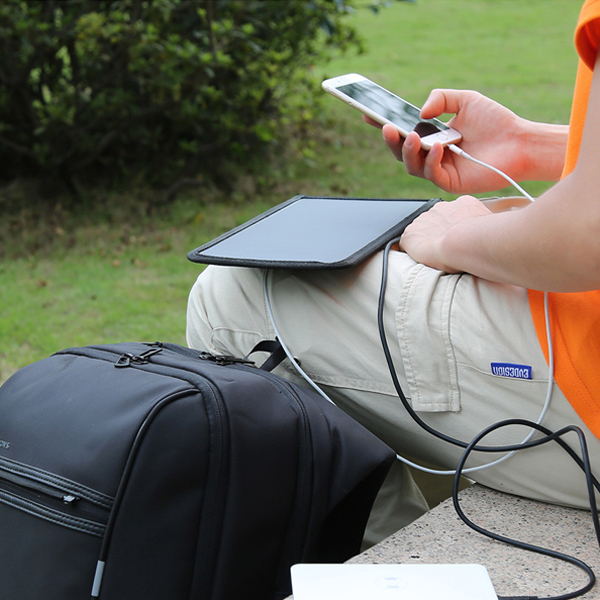 Furthermore, the outdoor charging device on your backpack employs a removable design which makes it even more convenient to use. One of the features that make this device uniquely qualified to meet your mobile power needs is that it has an automatic charging recognition capacity. This feature provides ample protection to your device in the form of overvoltage, temperature, and short circuit protection. Apart from the security of your device, the backpack protects your devices from theft. It achieves this by providing you with numerous hidden pockets that are inaccessible to others while the bag hangs on your back. 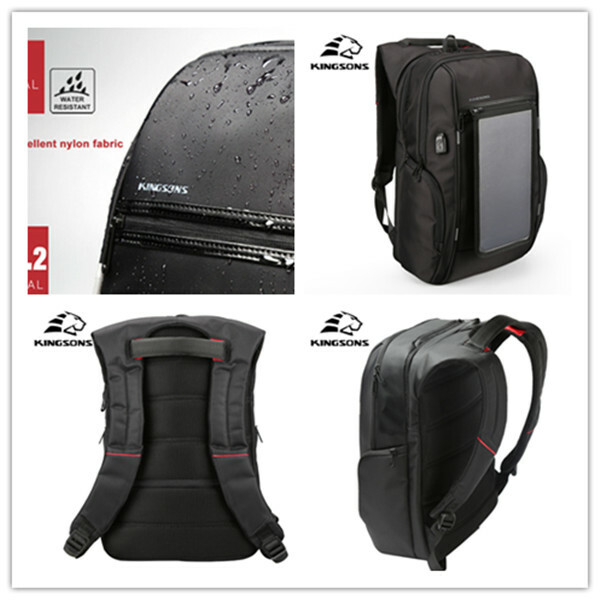 The little innovation witnessed in the Kingsons outdoor backpack offers significant convenience to its user. However, it does not stop at this alone since the bag comes in multiple designs and styles which makes it align rather well with fashion trends. It has been estimated to have a capacity that can contain between six and seven pieces of clothes which makes it even useful for short-distance travels. Furthermore, it provides a separate computer compartment with a zip that can house a 13 to a 15.6-inch laptop. The bag also contains a thick EPE shockproof protection inside the computer keeping the screen free of cracks. I have managed to enjoy the unique features of this bag especially its water-repellent nylon fabric. Living in a region that experience regular wet seasons had made it rather difficult to move around with my laptop and mobile devices. Since I discovered this backpack, my life has been transformed as I can go anywhere with my devices with little worry about theft, rainwater or running out of power. In conclusion, the Kingsons outdoor backpack can be the one thing meant to change your life today for the better. Increasing uncertainty in weather changes because of global warming should make you worried. You may never know when that rainstorm will hit and that may mean significant losses to most people. Therefore, get yourself this unique innovation on Banggood and have a chance to enjoy your devices without frustration.